Wow.....did my holiday break ever come and go quickly. I can't believe it's back to work in just a couple of days. The time off has been nice. Spent some quality time with my niece and nephew, caught up with some old friends, took in a couple movies, got some much needed R&R and even spent some time with this great hobby. So why no blogging??? Good question. No big reason - just didn't. There.....'nuff said. But to start the new year I thought I'd share one of my most recent Linden pickups. Turns out it's one of the top cards for this pc I picked up in the 2017 year. 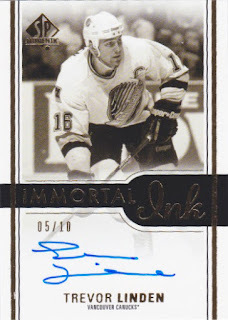 I have always loved the Immortal Ink sets put out by SP Authentic and was thrilled to see Linden get added to the checklist this past year. That said, I knew actually obtaining a copy would be a tall task. I've really become more conscious about where my hobby dollars go these days - especially when it comes to my Linden pc. There are just so many cards on the wantlist, it'll take a lifetime to "catch up". So my eagerness to be aggressive in my purchasing has diminished significantly......and I've no problem with that. These Immortal Ink cards are highly sought after. Always a strong checklist and beautiful design (plus the hard signed autos) makes this a popular build for set collectors. Add to that the player collector component and the prices for these can get pretty high pretty quick. Me being me, I passed on the first few copies I saw. But I wasn't too worried about NEVER landing a copy. I didn't place this in the same category as I have other cards. But it was an eBay listing from a fellow Linden collector that had me thinking about working out a deal. I was surprised to see the card posted to begin with. Was he getting rid of some of his Linden collection? Nope....he had doubles. Wow.....didn't see that coming. The asking price was quite fair but I thought I'd try my hand at trading. See if I could work something out that way. So I contacted him. And I made a pretty strong offer. It was an easy transaction and I was super pumped to know this card would be coming my way. So what did I give up in return? How about an Auston Matthews Young Gun rookie card. Yes, I "overpaid".....and I would do it again in a heartbeat if the situation was the same. Hear me out on this. I opened up a tin of Upper Deck Series I (paid $35 for it) and was stunned to find the Matthews YG in one of the packs. That put my mind in a different spot than maybe some others would. In my eyes (one of the ways I could look at things), I was in on this card for just $35. 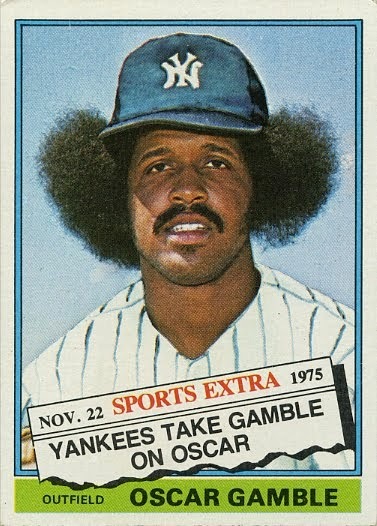 Sure the card can go for upwards of $200 on the open market right now, but in the moment I knew that I had a card that could...should be enough to warrant a trade. I'm not always about what things "book" for or what the "going rate" is. Sometimes my brain takes me to "how much have I got invested in this card". And there are times when it can pay off much better for me (and much quicker). At the end of the day......as long as I'm happy with the trade, it really just doesn't matter. Thanks very much Elliot for the sharp looking Linden. It's my favourite pickup from the 2017 year and I've got a fun story that goes along with it. Hope everyone has a fantastic 2018!!! That sure is one sweet looking card. Thoroughly enjoyed the backstory as to how you acquired it. You're correct, if you're happy with the trade it really doesn't matter and as far as "overpaying" it appears you ended up getting the better end of the deal. That's a nice auto card, very clean and I like the fact Linden is wearing the 90s 'Nucks sweater - nothing against the Orca jerseys, I just like seeing him in the skate logo a bit more. Great card Brett! So glad my extra copy found an appropriate home. I'm a sucker for any skate logo autos as well. Like you, I consider this one of my all-around top faves. Happy hunting in 2018 buddy :). Nice card! I feel the same way about that type of trade. As long as you're happy with it, the "book" values shoundn't matter.